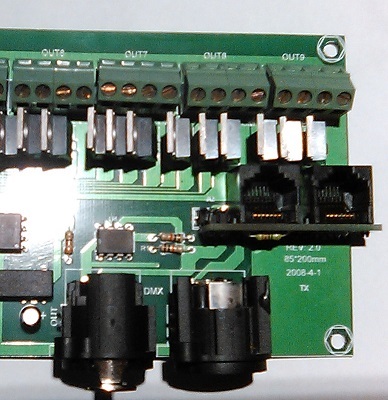 An adaptor to add 2RJ45 connectors and a termination jumper to the 27 channel HD712 boards commonly known as Ray Wu 27 channel boards. The board solders into the J12 connector holes and should be held in place with a couple of spots of hot melt glue to remove strain off the J12 connection. Any of the 4 DMX connections (2 RJ45 and 2 Cannon) can be used for input or output. Only 2 connections at a maximum should be used. 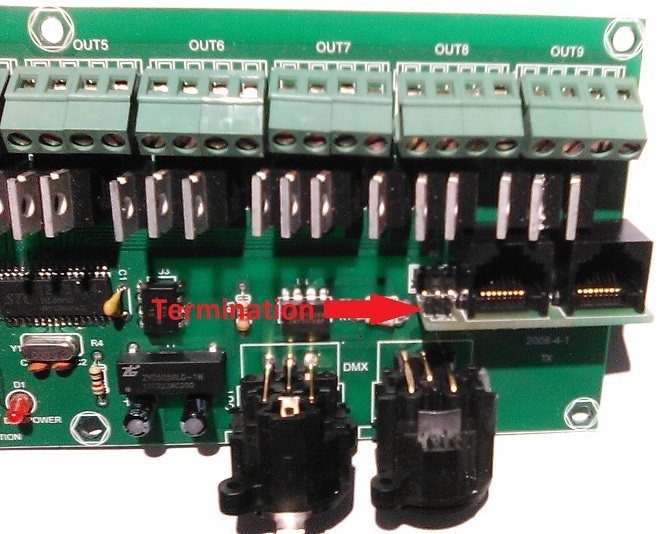 If only 1 connection is used then the board is at the end of the DMX cable and the termination jumper should be used.